…Better Than All The Rest! So here we are again to talk about some more of the books that have had me desperate to be (physically) at home on the sofa with nose stuck in book while (mentally) exploring a whole host of new worlds and experiences. A great young adult read made its way into my hands a few months back and the striking cover of a censored piece of fiction had me wanting to get stuck in immediately. 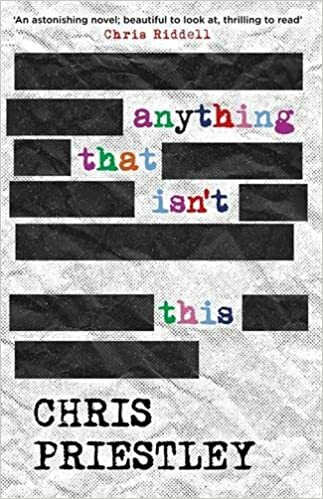 Anything That Isn’t This by Chris Priestley takes us to a gothic town of statues with eerily worn away faces and a castle, a constant looming presence, in which resides the all-powerful ‘Ministry’. We meet our protagonist, Frank, in his last few weeks in education and what, to him, will be the end of the daily reminder of how he doesn’t quite fit in. With aspirations of being a writer he is faced with the unpleasant truth that most in his position, good grades and family connections, will actually end up working for the Ministry. The ruling state have imposed curfews on the residents and ensured all creative output is controlled by allowing only ministry approved fiction (all published work before their reign has been consigned to one small shop, where the end two chapters of each book have been fastidiously torn out) and television programs. Frank feels the claustrophobic town bearing down on him and cannot even escape this feeling in his own home as he believes his family have simply fell in line with the system. The only relief he seems to get from this world is by either talking to his grandfather (in not exactly the most conventional of settings) and by focusing on his love for Olivia, one of the popular crowd, who he is sure would return his affections if he could just engineer the right situation for romance to blossom. I found this a great read that would be enjoyed by all, as usual don’t let the ‘young adult’ tag put you off if you don’t tick the box for that age bracket. Priestley had me questioning how far you will go to pursue your dreams and how easy it is to be sucked into a way of life without questioning the forces behind it. An added treat for the reader is the illustrations that appear throughout the novel, all in stark blacks, whites and greys, making you feel like you are roaming the streets along with Frank. I think this is a corking read for anybody aged 13 years upwards. I do not have many graphic novels in my back catalogue but this is something I definitely want to change. 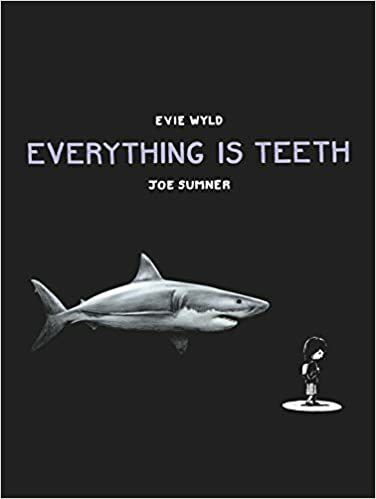 This was a point driven home when I read ‘Everything is Teeth’, a graphic novel written by Evie Wyld and illustrated by Joe Sumner. Now I am a huge fan of Wyld’s writing, having read and recommended ‘After the Fire, A Still Small Voice’ and ‘All the Birds, Singing’ to many, so I was always going to pick this up to take a look, but I did not anticipate becoming so hooked by this form of storytelling. The tale itself initially appears to be a simple one, as we learn of Wyld’s fear of the shark and how this was a constant issue in her childhood. As we read on we quickly become aware that the story is so much more than this and is actually an examination of her relationship with her father as he grows older and eventually passes away, with Wyld’s striking, sparse style focusing on the minutiae within their relationship and having it speak volumes. Sumner, a friend of Wyld’s, has illustrated the tale in two different styles. The portrayal of Wyld and her family is done in an almost cartoonish fashion, where-as his images of the sharks are frighteningly realistic, the contrast highlighting how they were the stuff of a young girls nightmares. Squeamish when it comes to blood? Well you would assume you were safe when it comes to flicking through a book, but hold your horses, although the majority of the novel is black and white, we do see the damage that can be done by these magnificent animals as vivid, blood red suddenly leaps out at us from the pages to powerful effect. For those new to the graphic novel or seasoned pros, this would be a welcome addition to a bookshelf. So as the year draws to a close I think it is only right that I give a nod to the books that have kept me up all night, made the hairs on my arms stand up and had me glorying in the beauty of a well turned sentence. To not over load you (as, you know me, I could talk about A LOT of books here!) I will be posting a handful of titles at a time and I won’t be giving a full review, just a nice little flavour so you can see if they have you wanting to take a nibble. With no further ado, let’s get on! As a fully-fledged, bona fide member of the ‘oh my goodness, I ADORE ‘I Capture the Castle’ fan club, I cannot begin to explain my delight when I happened upon one of Dodie Smiths memoirs (for she has several!) ‘Look Back with Love’. This edition is published by Slightly Foxed and their usual love and attention has gone into it, sewn with french flaps, a booklovers delight. With a thick, cream jacket adorned with a wonderful sketch of a family spilling out an open top motor car, this book is a pleasure from start to finish. I never dreamed I could get back that feeling of reading ‘I Capture the Castle’ for the first time, surely no book could create that feeling inside me again, but more fool me for not trusting in Smith. She only covers a small part of her childhood in this edition but oh, what a childhood it was! Equally as eccentric as the Mortmain family, her home in the Manchester suburbs is filled with an endless cast of too good to be true characters, as the precocious young Smith gives us her take on the adult world around her. This book begs to be devoured! 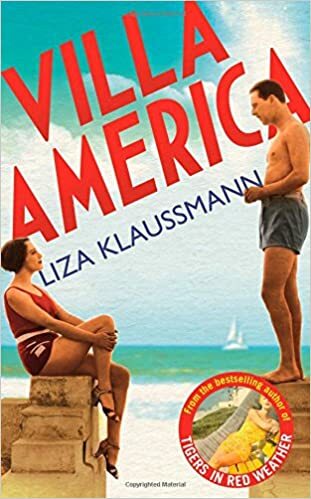 Taking me back to the 1920’s and the whirlwind presence of the Fitzgerald’s, Hemingway, Picasso and the gang was Villa America. Liza Klaussman has turned her gaze to Sara and Gerald Murphy, the darlings of the social scene. Hosting the parties to be seen at, the great and the good flocked around them. Despite the apparent halo over the couple, their life and marriage were not quite as perfect as it seemed, the story lets us peep behind the scenes of the golden duo. Fitzgerald went on to write ‘Tender is the Night’ about the Murphy’s and apparently they were not too happy about this, who knows what they would make of ‘Villa America’ but I was fascinated by their world of extremes. After finishing the novel I carried on reading the notes provided by Klaussman on her research and can report that this is the only book that has ever made me want to dig out every reference book mentioned to do some further reading myself! Grab a copy and be transported to the South of France. I am naturally drawn to fiction set in India and that which concerns those who have crossed land and oceans to make their home on new shores. ‘The Year of the Runaways’ was, therefore, a book I was always going to pick up with or without its Booker nomination (making it to the final 6 but being pipped to the post by Marlon James). This novel is quite the tome and appeared to fit in with an unspoken Booker rule this year that each read on the short list should take quite the toll on your emotions. Do not let this put you off, the book is a rewarding read as we quickly become loyal companions of the four voices telling their story from within the pages – three Indian men and one woman who is British/Indian. We meet them in Sheffield and it is quickly apparent that none of the above are having the easiest of times, everything they have in life is fought for, and it makes the reader question whether it is really all worth it. Looking for some kind of explanation as to how these four have ended up in such a bleak world we jump back in time to their lives prior to this every day struggle for existence. We head to India and watch how life can unfold to take us places we could never imagine. I had never read Sunjeev Sahota before ‘The Year of the Runaways’, but I now have his first book ‘Ours Are The Streets’ on the ‘to read’ pile, his writing is understated yet powerful and I cannot imagine anybody questioning his standing on the Granta list of best young authors. This to me felt like an important piece of writing that is made all the more relevant by the current refugee crisis. I consider myself to be fairly well read, obviously there are plenty of authors out there who are mentioned in those never ending lists of ‘books you should have read..’ whose work I have not delved into yet, but when I started working in the book industry I was introduced to Stefan Zweig and to this day a cloud of disappointment and guilt hangs over me that I did not arrive at his work earlier. In fairness my shame can most likely be shared by many in the UK (please accept my apologies if this is not the case for you dear reader, and also, excuse the introduction to the great man which you will not need) as despite Zweig being one of the most popular writers in the world in the 1920’s and 30’s, with more books in translation at this time than any other author, he went largely unnoticed by the British public. The first accusation, well, I really can’t answer how I would respond if I was one of the most hated Jewish writers who had managed to flee the Nazi regime just in time, would I step up and denounce them no matter what? Zweig claimed that he did not do so as he was worried about the safety of those friends left behind, this has been doubted as being the real reason, but I think that in such extreme circumstances like these one should be very slow to judge. And the last claim, soap style melodrama, well yes – Zweig did love a bit of melodramatic plot in his writing, but oh does the course of love ever run smooth, and more importantly, would we want to read about it if it did? His examination of his characters’ lives, the turmoil within them and the tension of sexual relations is nuanced and told in his simplistic style that make him a constant pleasure to read. When Zweig describes his time there you become acutely aware of how important these surroundings were for him, and why the disappearance of it all was just that much harder to stand. The book is a great taster for readers, including not only work from his memoir but also ‘Beware of Pity’, his only completed novel, and ‘Twenty-four Hours in the Life of a Woman’, one of his many novellas. His output was as vast as it was varied, producing plays, biographies and many pieces of journalism. My most recent outing with him was to travel through time, as he introduced to me some of the great stories through the centuries in ‘Shooting Stars – Ten Historical Miniatures’. Generally I do not read a lot of history, but these bite sized pieces left me perfectly satisfied as I was waltzed through the discovery of the Pacific Ocean in 1513 through to Wilson’s failure and the Treaty of Versailles in 1919, with fascinating pit stops to be had along the way. These momentous moments in history caused me to laugh, gasp at the audacity of some and marvel at some great daring do (seventeen ships being carried across a mountainous headland as a battle strategy anyone?! And when I say carried, I mean carried!). Zweig brings these moments to life so that the people involved, such as Handel, do not read as those we can’t imagine from a past too different to our own, but as living and breathing characters we could almost reach through the page to touch. His style is as elegant and effective with his non-fiction just as we are used to in his fiction. The outpouring from his ‘intellectual labour’ has been so loved by so many we can only give thanks for his talent and life. 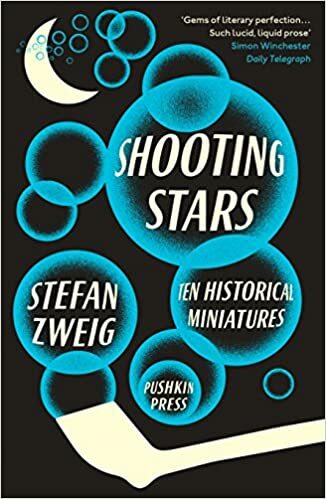 So although the thought of missed time reading Zweig bothers me so much, I will look up to a silver lining, there is much of his work out there for me still to discover and enjoy, and I hope after reading a little about him here you might do the same. Recently I had to make a journey that would provide an hour where I could attend to nothing other than the bliss of reading. I decided to look through a recent selection of books that have made their way into my flat and my eyes immediately fell on the perfect travel companion. Mona Lisa by Lernet-Holenia has been published by Pushkin Press in a delightful pocket sized format and as I am constantly impressed by their output I knew I would be in safe hands. Coming in at under the 100 page mark this novella is an utterly charming distraction from the world for an hour or so, with a handful of beautiful black and white illustrations throughout I think most readers would be happy to find this popped into their stocking this Christmas. We are taken back to 1502 as a squadron of the French army pay a visit to Florence while touring through Italy. Instructed to gather gifts for the King, Louis XII, they quickly make their way to the home and studio of a certain Mr da Vinci. After greeting his guests from across the border da Vinci is quick to inform them that he is not currently working on any artistic endeavours, but an entertaining dispute leads to the accidental unveiling of the Mona Lisa. A young soldier is stopped in his tracks by this entrancing beauty gazing at him from the canvas and she quickly consumes his every thought. Determined to find out who, and where, this woman is, our young, smitten protagonist ‘de Bougainville’ finds his life suddenly spiralling out of control as he refuses to accept explanations given about Mona Lisa and is soon making 1 plus 1 equal 5. 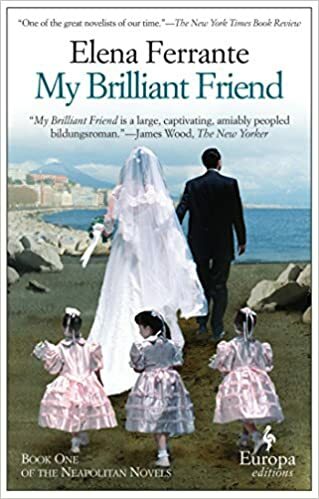 Assuming there are sinister secrets keeping the woman who is surely his true love away from him we can only sit back and watch as the situation escalates and Bougainville’s sanity is questioned as he goes to extremes for the object of his affection. Lernet-Holenia always considered his poetry to be where his real talent lay, but he also has several pieces of fiction out there which deal with weighty issues such as World War 1 and the Austria that he knew when he served in the army. This novella may not hold any of this heft, reading sometimes as a historical farce, but I find it to be an entertaining delight, something of an amuse bouche that has left me tantalised to try more. Come in, come in and settle by the fire I have conjured up with my mind! I hope you have a cuppa in hand so we can complete the introductions and then get on to the much more important business of talking about all things literary! First of all it is only polite I introduce myself. My name is Danielle and I am happy to confess that my life is one consumed by books, it has been suggested before I have some kind of problem. For every one book I read I would say another five enter my flat, I also suffer from a real and genuine ailment which no Dr takes seriously – a fear of dying before reading all the great literature out there. I am lucky enough to have landed my dream job working in what I consider to be the finest bookshop in the land (supported by our place in the ‘Guardian’s Top 10 Bookshops in the World‘ list) so I spend my days happily chatting away about everything reading related. Alas this still does not quench my thirst to talk about books, I have found myself becoming a nuisance to those I follow on twitter – if I see them discussing what they are currently reading I will always end up jumping into the conversation. Although most are no doubt sick of me I do still get asked for recommendations on a regular basis. So here we are, this blog is an attempt to kill two birds with one stone, stop the pestering of the innocent bookworms out there and then those who want to hear (read) me harp on can do so of their own accord. I read a real mix of contemporary, classic, genre fiction (we can debate the whole ‘genre’ topic another day! ), non fiction and plenty of YA goodness. My literary diet is varied and complete, unlike my actual diet which mainly consists of carbs and cheese. I will be reviewing pretty much everything I read on here, and no doubt news from the literary world will creep on in too, with comments on latest releases, author interviews, book podcasts and festivals. So make yourself snug in this corner of the internet, I hope it will become a place you can turn to for some good book nattering and inspiration if you are looking for something to pick up and read next. Now I have done my introduction it would be really lovely if any of you guys would like to say hello in the comments and let me know what you enjoy reading, any favourite authors or books. My first review will be up on Saturday so pop by for a read, you can sign up for handy notifications when a new blog is posted, and spread the word to your book loving friends!